The US version of the Mad Dogs TV show was cancelled in February of 2016, after one season on Amazon Prime. Now the complete series is available on DVD, through Amazon/CreateSpace. Check it out, here. 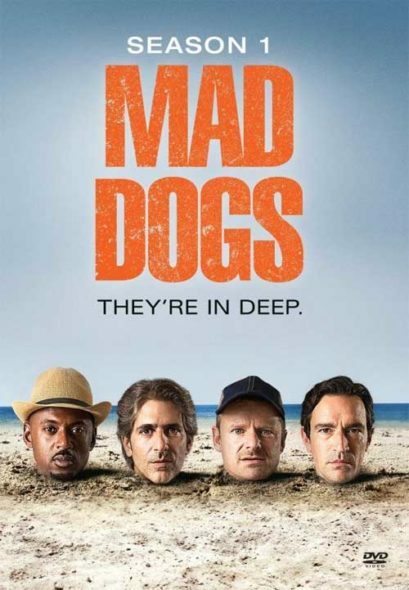 A dark comedy, Mad Dogs features the reunion of friends, now in their 40s. The Amazon series stars Steve Zahn, Michael Imperioli, Romany Malco, Ben Chaplin, and Michael Imperioli. Recurring are Billy Zane, Mark Povinelli, Rachael Holmes, Maria Botto, Coby Bell, Allison Tolman, Ted Levine, and Sutton Foster. Popular TV Show DVDs up to 70% Off! ER: Find Great DVDs, Books, Music, and More! Stat! Buffy the Vampire Slayer: The Battle Continues in DVDs, Books, Comics, and CDs! Save up to 65% on TV Series DVDs!